Time for Barça to get it right. Barça ended the season with another domestic double under new manager Ernesto Valverde. However, instead of celebrating this achievement, many of the Blaugrana faithful felt disappointed. Many would consider a domestic double a resounding success. However, their lack of success in Europe, whereas their arch rivals celebrated a three-peat was a reminder of Barça’s underachieving while wasting the talent of its best players. Lessons have to be learned from past mistakes in order for Barça to improve. 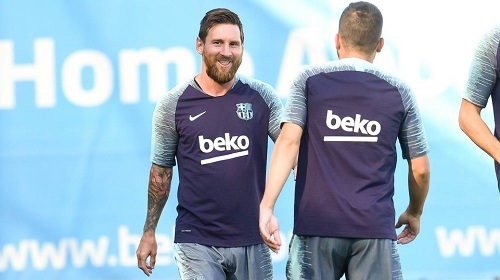 A team that has Messi should be conquering the world, and not settling for domestic success while coming up short in Europe. However, the poor planning by the club’s board and their manager has hindered this team from returning to their place of being the best in the world. With Iniesta now gone, the board once again finds itself trying to replace a key player much like Neymar’s departure last summer. Last season, the Blaugrana failed to recapture the league crown and then had to find a replacement for Neymar late in the summer transfer window. They hired Ernesto Valverde as Luis Enrique’s successor and spent over €180 million on the likes of Démbéle, Duelofeu, Semedo and Paulinho in the summer and then over €130 million on Coutinho and Yerry Mina during the winter transfer window. After a brutal defeat over two legs against Real Madrid in the Spanish Supercopa, the outlook for the season looked uninspiring. Instead, the Blaugrana went on a historic unbeaten run that came to an end in the penultimate fixture of the season but saw them celebrating a domestic double. 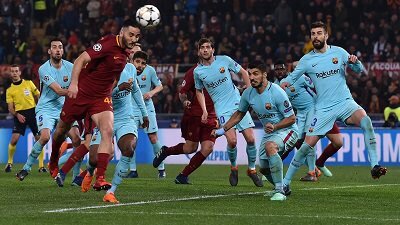 Nonetheless, the bitter elimination in the Quarter-Finals stage of the Champions League by AS Roma, after squandering a 4-1 aggregate lead stung. Many blamed player fatigue as a result of Valverde not rotating and resting his players during the season. Although Valverde captured the double in his first year as Barça’s manager, many, including yours truly, did not enjoy how he managed the season. His lack of resting players, and conservative approach when leading, cost him and his lack of using the new signings down the clutch and ignoring youth players was also puzzling. The club spent a fortune on Paulinho and Démbéle and the Brazilian featured in 44 minutes in the first leg and none in the second leg against Roma and Démbéle only played in the final five minutes of the second leg loss. The big signing Démbéle was good enough to start a crucial second leg against Chelsea but only featured in 5 minutes against Roma over two legs? Valverde’s decisions of who to play and not to play left many fans confused and a repeat of that next season with the new additions will not be acceptable. Madrid is succeeding because of the midfielders that the club was interested in but passed on them. Barça could have signed the likes of Modric, Isco, Kroos and Asensio, but instead signed the likes of Alex Song, Andre Gomes, Paulinho and Douglas. With Iniesta gone, Barça must make signing midfielders a priority. They seemed ready to spend €100 on Antoine Griezmann and fortunately, that deal never happened and the Blaugrana instead went out and signed young Brazilian star, Arthur, to ensure he comes in this summer along with midfielder Arturo Vidal, winger Malcom and defender Lenglet. Additionally, the club has to answer for the mismanagement of their youth. Barça B were relegated to the third division so now our future stars will have to focus on trying to win promotion back to the second division. It would have been ideal for the B team to be in the second division and get call ups to the first team here and there. However, it would have also been ideal for Valverde to give more minutes to B players too. In his first season, zero minutes were given to B players in the Champions League and only five minutes were given in the league. That goes against everything the club stands for, especially when this board reminded us “La Masia No Es Toca”. Hopefully young starlets such as Riqui Puig will get called up this season. Finally, the club needs to start ignoring Copa del Rey. The main objective every year should be the Spanish league and the Champions League. Obviously winning another treble is every fan’s dream, but in terms of preference and importance, the Champions League should always trump the Copa del Rey. Barça have won the last four Copa del Rey trophies while Real Madrid have won the last three Champions League titles. There’s no debate in which trophy fans would prefer? Barça winning the Champions League means getting to play in the UEFA Super Cup and the FIFA Club World Cup. Winning the Copa del Rey means getting to play in the Spanish Supercopa, which is already guaranteed if Barça win the league. 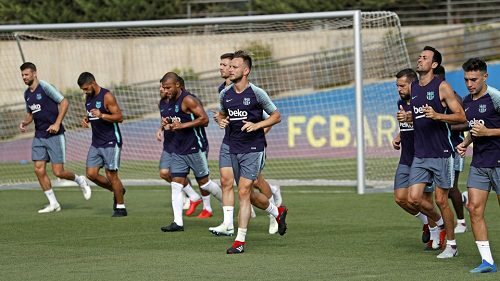 As much I would love to see the Blaugrana win a third Treble, the Copa del Rey has become a burden with starters losing out on much needed rest because of their participation in this competition. Real Madrid has benefitted from exiting the Copa del Rey early and used that extra rest to their advantage while Barça players end up being exhausted in April because they are stretching themselves thin in all three competitions. Another season is upon us and Barça can add another trophy today by capturing another Supercopa. Hopefully Barça will finally steady the ship and stop disappointing. Repeating the same mistakes will only guarantee more disappoint so one can only hope the board and Valverde get it right and stop wasting the talents of Messi and others. Previous PostBarça end US tour with a 1-0 loss to Milan. Next PostBarça defeat Sevilla to capture the Supercopa de España.